Furnace Repair & Maintenance | Blue Stream Services, Inc.
At Blue Stream, we understand that your furnace can be the heart of your entire HVAC system and can have a large impact on your AC unit even during the summer months. 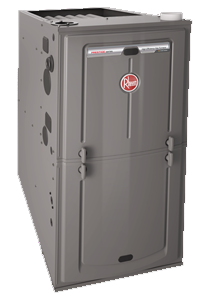 Ensuring that you have a clean furnace prevents dirty air from getting into your home and improves the efficiency and longevity of your entire system. During our tuneups we clean out your furnace to make sure your home is comfortable. Repairing and cleaning up your furnace is a proactive way to prevent a costly breakdown. If I need a repair, what are my options? If your system is not functioning properly, we will always communicate to you what we find and discuss our multiple solutions before we begin any work. It's YOUR choice what repairs are performed. Our technicians are there to guide you through understanding any problems and aid in choosing the best solution for you. Once a solution is chosen and you are comfortable with the process, we will begin the repairs. I know very little about furnace repair. How will I know you're recommending the correct solution to fix my problem? At Blue Stream, our Technicians are intensely trained to not only be your heating & cooling experts, but to also offer quality service that concentrates on making your home comfortable. We don't believe in scaring our customers into unnecessary purchases. We will always present you with multiple options that protect your checkbook and we want you to make the best decision for your home. We let you choose what you are comfortable with and will always communicate our expert opinion. Our 100% satisfaction guarantee isn't something we simply promote - we live by it! We run our business with integrity and the customer's best interest in mind at all times. What should I expect to have to clean up when you're finished with the job? We guarantee you won't even notice we were in your home after we leave...except that you're home is more comfortable of course! Our SuperTechs wear protective booties the second they step through your door to ensure nothing from the outside makes its way into your home. Our 100% satisfaction guarantee applies to more than just the services we offer! We will treat your home the way would want ours to be treated - professionally, courteously, and with lots of care.